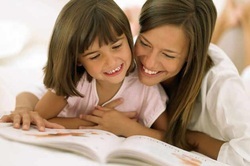 Family Law is a dynamic area of law that is constantly changing. New and binding decisions are handed down from the appellate courts on a weekly basis, and Alabama custody issues remain the topic of ever changing legislative bills. Competent representation is crucial in Family Court and Domestic Relations Court cases. The Burdick Law Firm has years of experience dealing with litigation and family law issues. Choosing the right lawyer from the start in a Family Court dispute is crucial. Family and Domestic Court cases affect families for years, and obtaining modification of court orders after the fact can be very difficult. Hiring an experienced attorney from the start can save a lot of heartache, trouble and expense. As the saying goes, "an ounce of prevention is worth a pound of cure." Whatever your circumstance, our attorneys are here to help. We have the experience to effectively represent clients in Alabama divorce, dependency, custody, child support, alimony and adoption cases. Austin recently lectured on child custody issues in Alabama. His insights that were delivered to the Alabama Family Rights Association can be viewed below. Child custody laws and practices in Alabama are complex. Perhaps more complex than they need to be. Please watch the videos below to better understand what happens in court as well as what the scientific community is saying about what should be happening. All too frequently divorce and paternity actions need to be modified by the courts. Circumstances change and what was once thought to be a livable arrangement is now a burden. Now is the time to go back to court and correct the situation. The Burdick Law Firm can help you and guide you through the process of getting your court order modified to better meet your needs and circumstances. 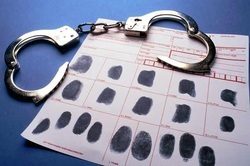 Criminal cases can move fast and defendants start off at a disadvantage. Before a warrant is even issued the state has begun to gather evidence and prepare its case. A good defense attorney is necessary to overcome this inherent disadvantage. Experience preparing and navigating a case from arrest through appeal is crucial. You need an advocate who can tell you from experience and research how to properly attack the state's case and obtain a positive outcome. Our listed attorneys have represented clients charged with everything from traffic tickets to serious felonies punishable by life sentences. We can offer you experienced competent advice. Appellate work requires a special skill set. Appellate attorneys must pay strict attention to detail and be willing to work long and hard. Excellent persuasive writing is a must for attorneys that practice in this field. And of course there is no substitute for experience. Austin has successfully represented clients at the Alabama Court of Civil Appeals, the Alabama Court of Criminal Appeals, the Alabama Supreme Court, and the U.S. Eleventh Circuit Court of Appeals. We have represented clients on the appellate level regarding Civil Litigation, Family Law, Estate Matters, Juvenile Matters, Criminal Matters and Procedural Issues. Call us today and put our experience to work for you. Trial experience is what matters when selecting a litigation attorney. 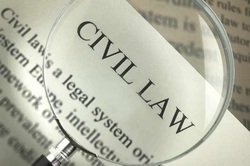 Civil litigation is one of the most complicated areas of practice. It requires an intense attention to detail and a passion for representing the client. The Burdick Law Firm represents corporations and individuals in civil litigation throughout the state. 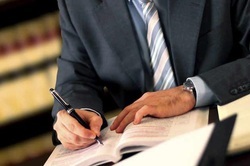 Our attorneys bring a unique technical expertise to civil litigation found in few other firms. Austin Burdick, is not only a licensed practicing attorney, but he is also a certified trainer in Trial Director. Trial Director is state of the art trial presentation software. The use of this presentation software can dramatically effect a trial. While other law firms continue to rely on chalkboards, Austin makes powerful multimedia presentations that juries won't soon forget. A little bit of planning goes a long way. Everyone needs a will regardless of income or wealth. A will is a sound investment. Few people know that a well drafted will can save you thousands of dollars in bonding fees and administrative costs. 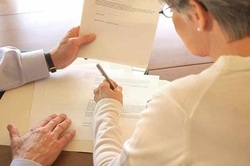 A will can also resolve disputes among heirs before they ever arise. A will allows you to be in control of how, and to whom, your assets are distributed. Also, if you have minor children it allows you to direct how they will be cared for in your absence. The loss of a loved one is always difficult and stressful. 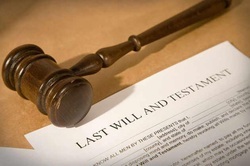 A well drafted will can relieve some of the stress by providing your heirs with you last wishes, relieving them of the obligation to make difficult decisions regarding your final arrangements. A living will can be priceless to a family under stress. End of life medical treatment frequently places a spouse and children in difficult decision making scenarios. A well drafted living will can remove this burden from your loved ones. The Burdick Law Firm can provide you the advice and services that you need to protect and provide for your family. Starting a business is both exciting and stressful. Lots of decisions have to be made at start up that will affect your company’s longevity, security and profitability. Choosing the right entity is crucial. There are tax consequences and legal liability consequences that must be considered when forming a business. Should you form an LLC, or an S Corp? Set up an appointment with one of our knowledgeable attorneys and we will find out what entity best suits your needs and walk you through the process.